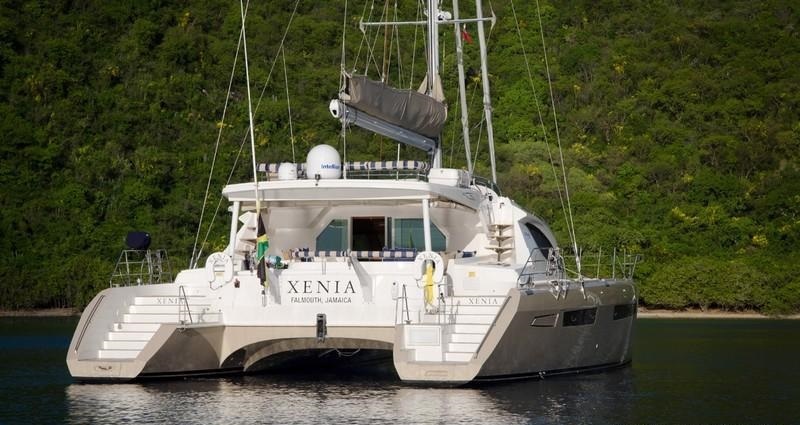 Catamaran XENIA was built by the well renowned French shipyard Privilege in 2007 and refitted in 2014. 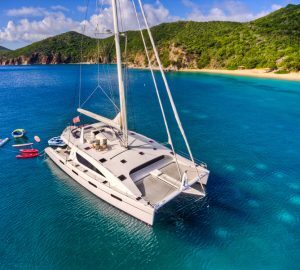 Measuring 18.9m (62ft), yacht XENIA is available in the Caribbean year round, offering 4 double en-suite cabins, for up to 8 guests. 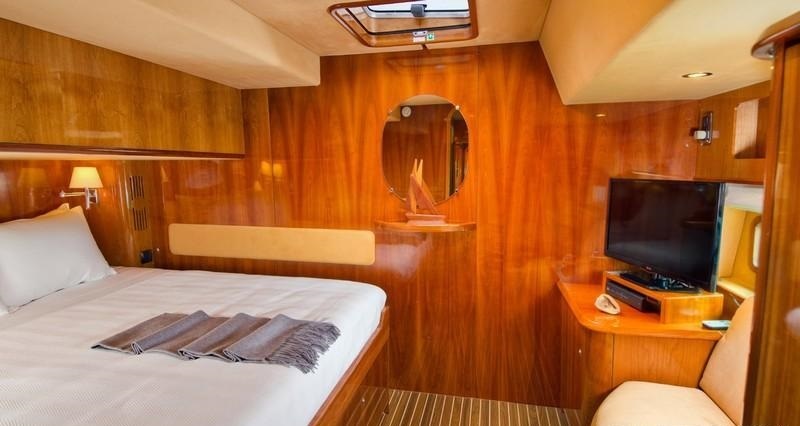 Sailing catamaran XENIA offers a warm welcoming interior décor, featuring high gloss wood panels, traditional teak and holly floors and soothing neutral soft furnishings. 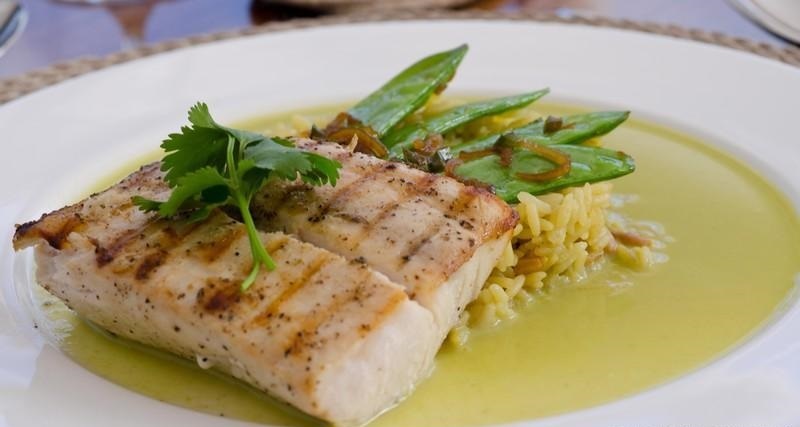 The salon is open and airy with 2 generous seating areas, a formal dining table, wet bar, TV entertainment and surrounding windows, providing optimum natural light. 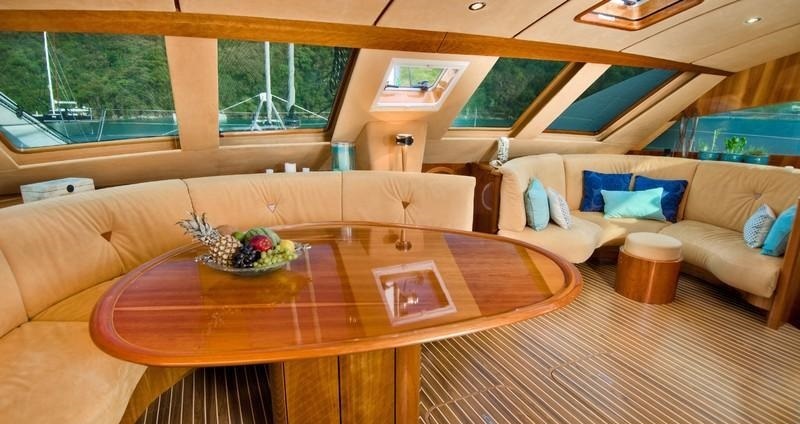 Wide sliding glass doors create a fabulous social ambiance with the spacious, shaded aft deck. 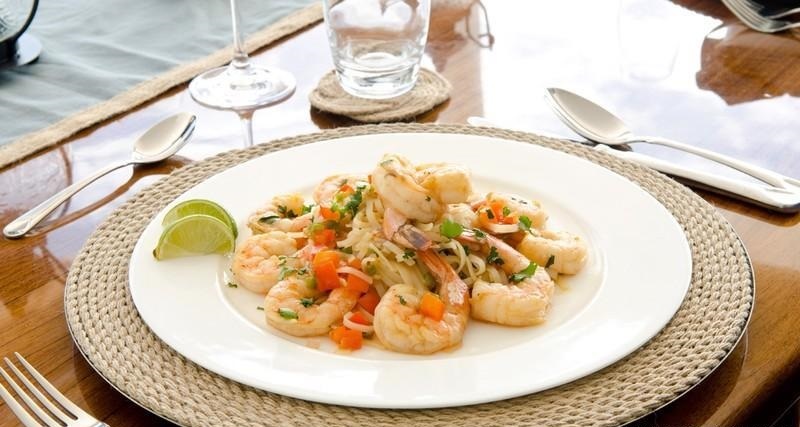 Guest accommodation is below decks in 4 double cabins, all with private en-suite facilities and full air conditioning. 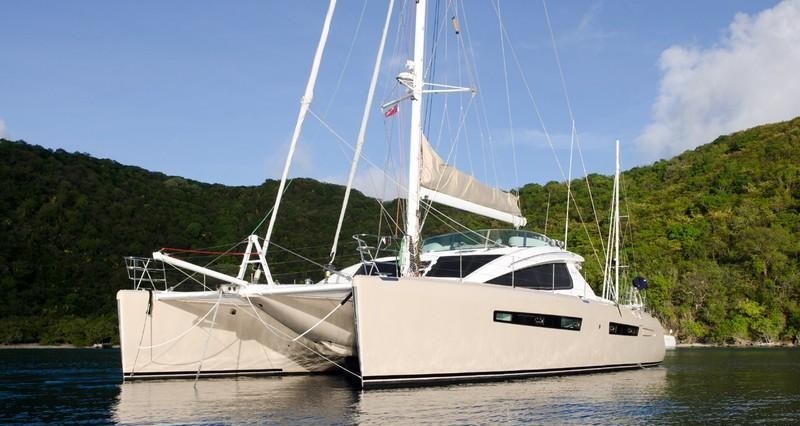 The Privilege 61 catamaran XENIA boasts ample exterior living on her 9.1m (30ft) beam. 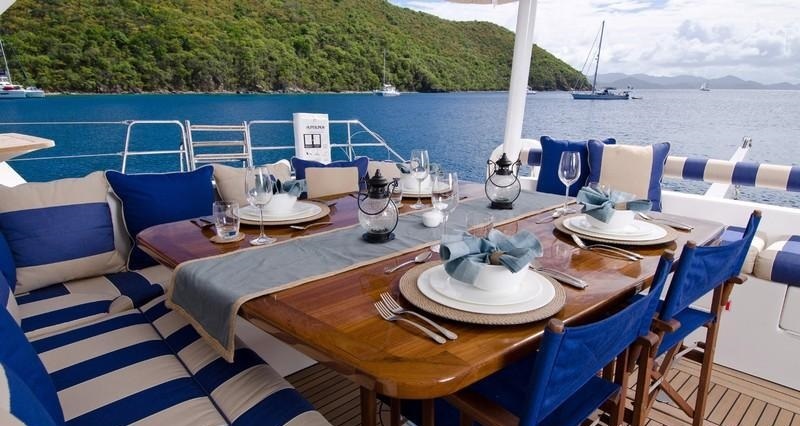 The aft deck has an alfresco dining option, plenty of seating and side sunpads. 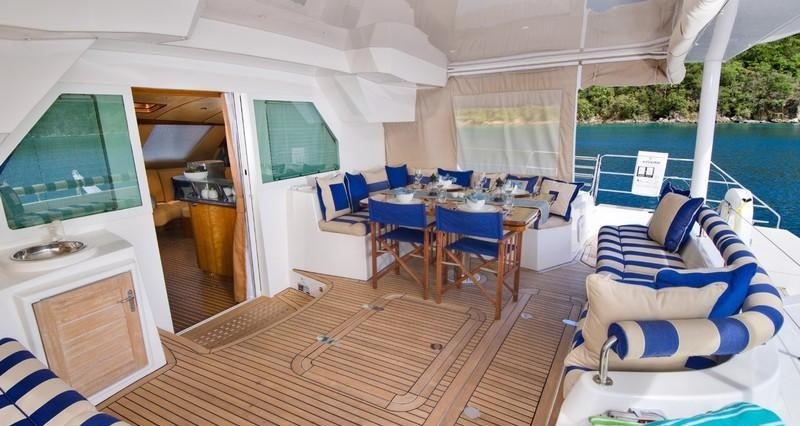 The wrap around main deck leads to 2 large trampolines, on the capacious foredeck. 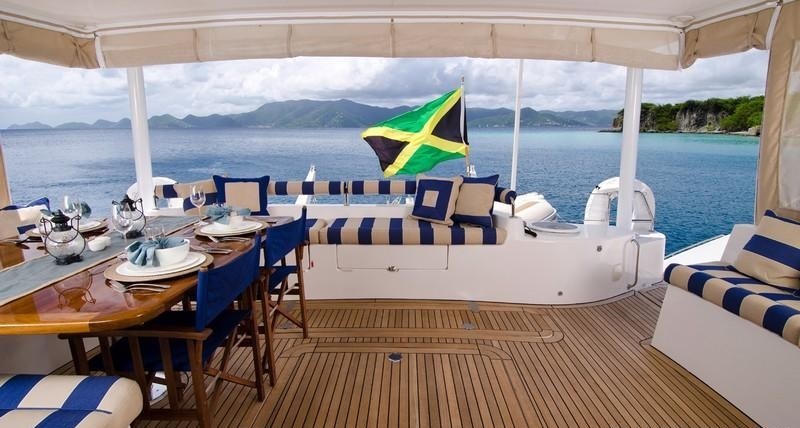 S/Y XENIA features an upper flybridge deck, perfect for sunning, lounging and enjoying the yachts power under sail. 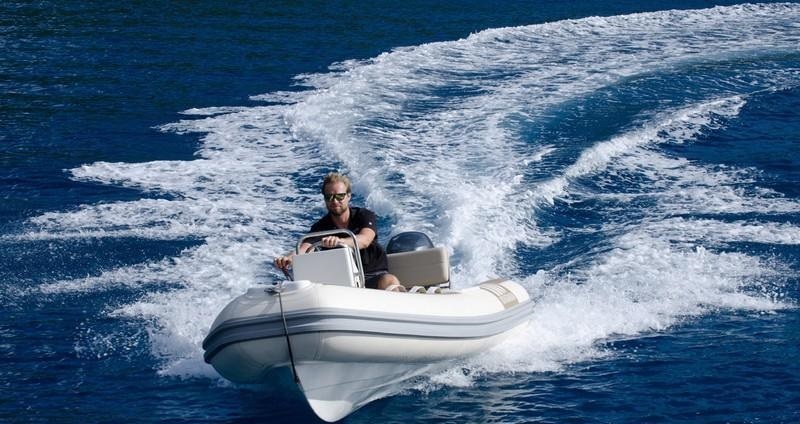 Water enthusiasts will find the 2 aft transoms ideal for accessing the azure blue seas and water toys effortlessly. 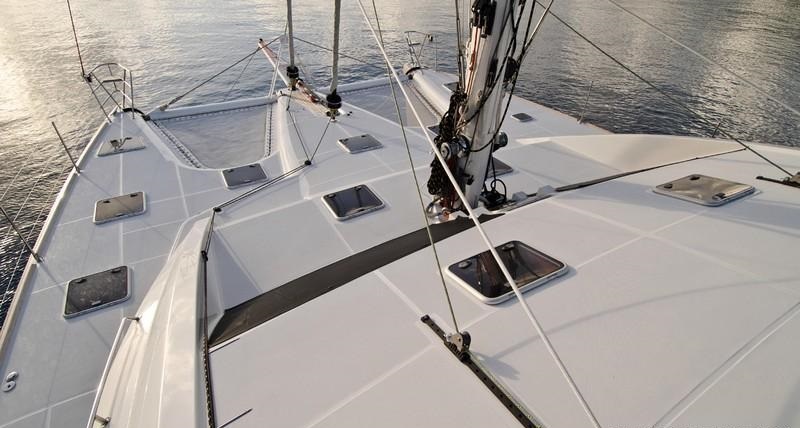 Powered by 2 x 180hp diesel engines, the XENIA catamaran is capable of 6 – 8 knots. 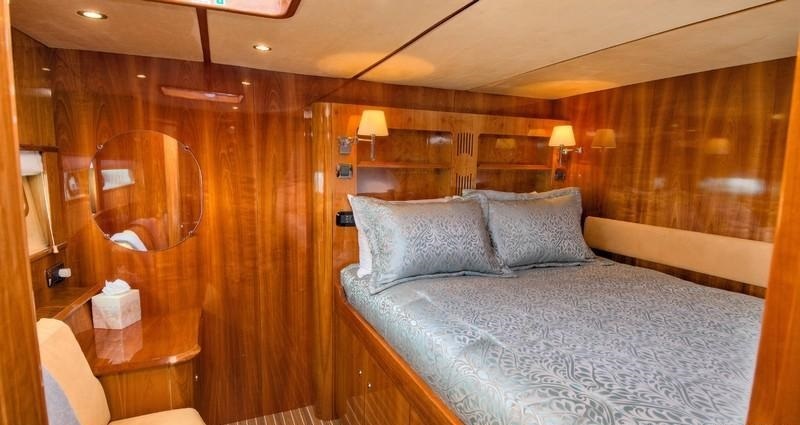 Crewed charter yacht XENIA offers 4 double cabins for up to 8 guests. 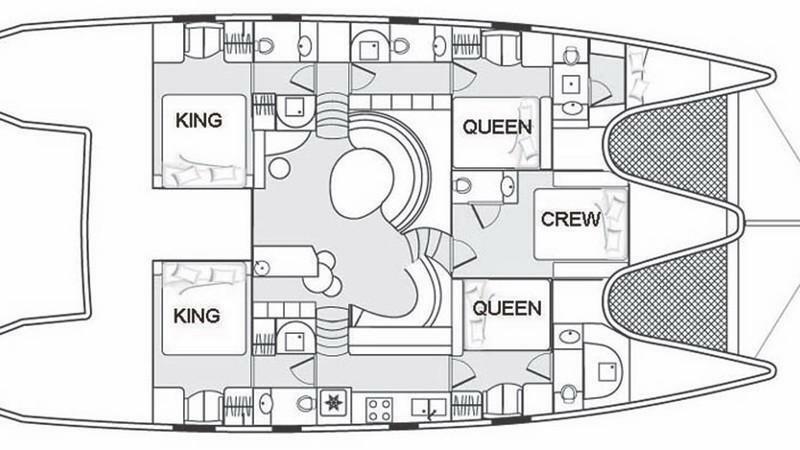 Two cabins feature king size beds, while 2 further cabins have queen size beds. 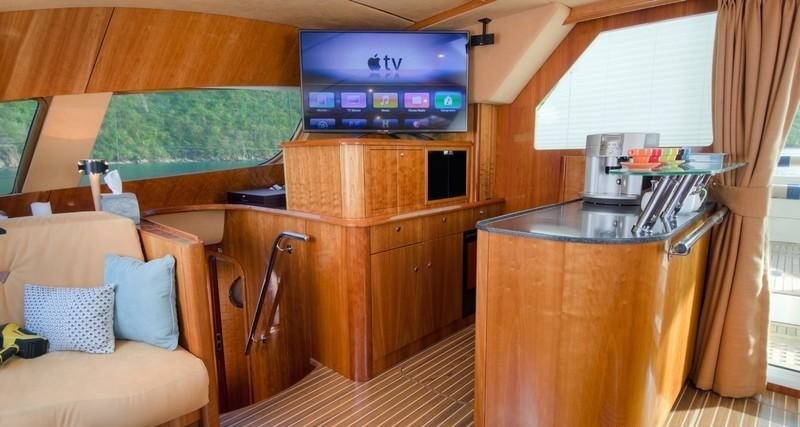 All 4 cabins offer TV entertainment with ample movies to choose from. 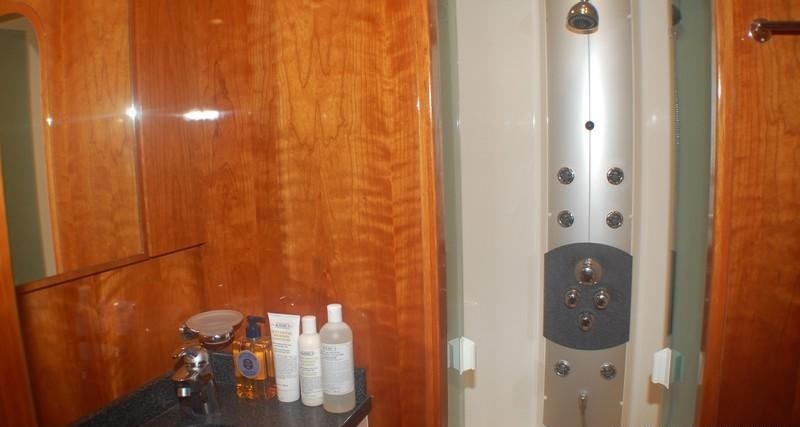 Each guest en-suite is equipped with electric heads and a luxurious shower, with 6 misting heads. 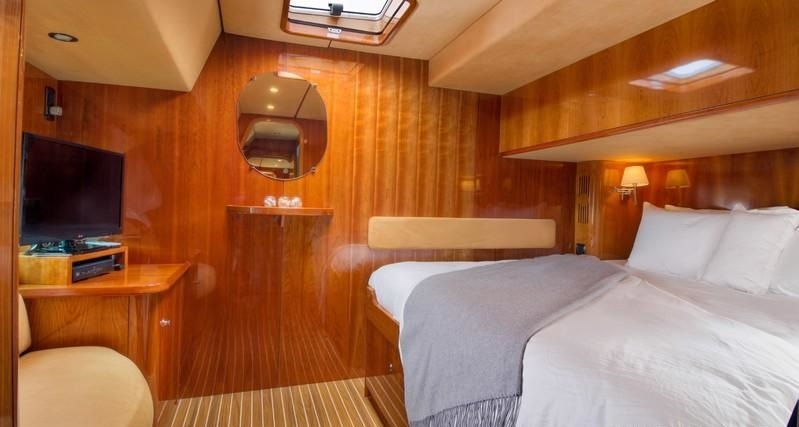 Cat XENIA has the following selection of extras and amenities onboard: Dinghy: Novurania / 12ft 0in (3.6m) / 40HP, 2 Skidoo underwater scooters, Adult waterskis, Child waterskis, Fishing equipment, Wakeboard, Towing ring, Under water lights, Floating bar, Floating Island, Trampoline, Tube, DIVING Crew certification: Rendezvous Only, Underwater camera – Still, Underwater camera – VideoBoard Games, iPod Dock, Local television, Stereo system, Media Hard Drive, Air bed. 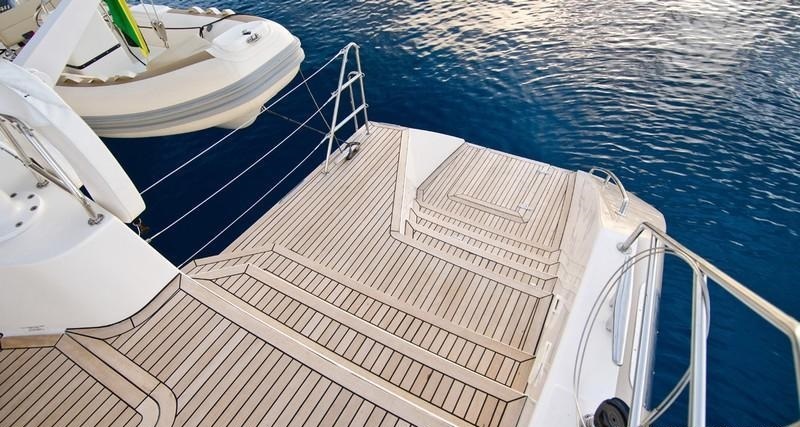 DECK & SYSTEMS: Air-conditioned: Fully. 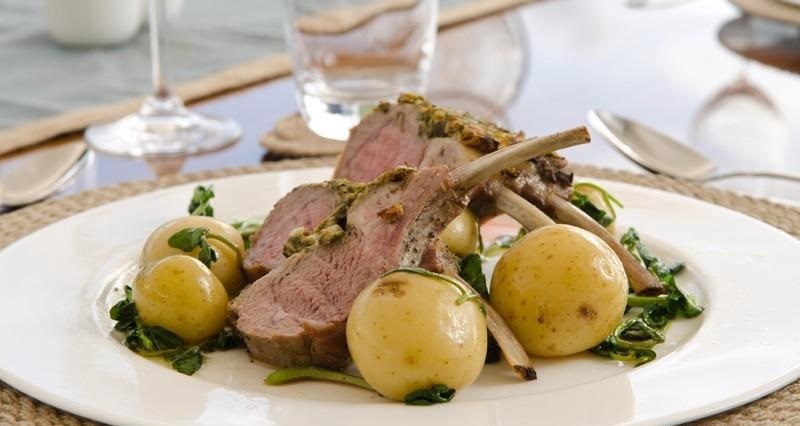 Deck shower, Voltage: 220v, Barbeque, Cell phone, WiFi and Internet, SATCOM.